Whatever your Car Valeting or Van Valeting requirements are, we can be of assistance. If one of your employee’s Car Lease is coming to an end, then the car must be valeted before the car returns to the lease company or penalties may be incurred. Should you require Valeting or Vehicle Washing in Rossendale and surrounding area, we can cater for all your car cleaning & vehicle washing needs, don’t hesitate to call, whether Contract Cleaning, Company Cars, Van Valeting, Contract Hire Vehicle's, we can be of assistance. We can remove scratches and scuffs in your clearcoat using different techniques and polishing compounds, we can protect your vehicle's with our waxes and ceramic sealants giving better protection to your vehicles, making them look better for longer which will show off your company image. 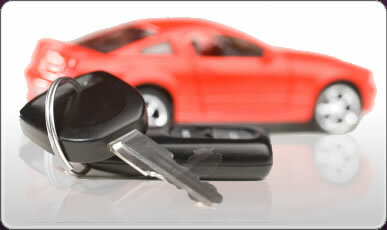 Lease Return Cars Costs Businesses over 100 Million a year, don’t get caught out. BVRLA Guide (British Vehicle Rental and Leasing Association) Fair Wear and Tear Guide. We suggest you order a copy of the BVRLA Guide, this will guide you through the process of what is acceptable and what is not, giving you the opportunity to rectify any damage to the vehicle. If the Paintwork is scratched or dented, you may be penalised, if the car/vehicle has stains-smells or burns in the upholstery or if the Alloy Wheels are damaged, the chances are you will be penalised. If a smell exists in your car such as smoke, you will be penalised. Order a copy of the BVRLA Fair Wear and Tear Guide at least a couple of months before you return the vehicle and get your vehicle valeted, this will give you time to get the work needed sorted out, and pre book a valeter. We offer excellent Mobile Car Cleaning & Vehicle Washing prices for contracts and repeat business at great discounted rates. If you are leasing fleet cars, vans, trucks, lorries, wagons, cherry pickers etc, that require valeting before you return them or on a regulary weekly, fortnightly, monthly basis, call us and we can give you a free estimate with no obligation. We offer Car Valeting Services from Vehicle Washing to a Full Valet, leaving your company car(s) polished and waxed protecting them through the harsh British weather. We have spoken to numerous businesses that have spent time and money on taking their vehicle(s), fleet cars to valeting premises, this can be very time consuming and is not cost effective, that 's why we come to you. We offer a credit facility, so after the work is completed we will invoice you so there is no need to have cash on site. This can make it easier and more convenient for your business. What can we look after for you? If you have a forcourt of cars that require Valeting we can assist you to increase your sales making them look as good as new which entices buyers. If it needs cleaning we have the tools do it.